Gated Content vs. Ungated Content - Which is Best? We’ve all been down this sort of Internet rabbit hole before. You go further down the rabbit hole, and now you’re no better than a first-century US Weekly reader, skimming a story about historians who say Cleopatra “wasn’t actually that pretty.” You spot another headline on the same site, “How Cleopatra seduced Julius Caesar,” and you can’t help but click. Suddenly, the gate slams shut: To view this content, you’re asked to fill out a form with your name and email address. Perturbed, you click away and leave the site. Why does this common practice exist? How can consciously turning away users by putting content behind a sign-up form even remotely be considered good strategy? These are questions with an easy answer: companies want to create a relationship with their users, and they’re willing to sacrifice page views to do it. All organizations, from news sites to b2b tech startups, want to reach as many potential customers and users as they can. That’s why they have websites and social media channels, and it’s why a content strategy plan puts a client’s brand everywhere a customer might look, like a Facebook news feed or the first page of Google search results. In this early stage, a user is still discovering and becoming aware of a company, and page views can be a good measuring stick for success. The more social media shares and the higher placement on Google, the more people will discover a company’s message. There’s no sense in gating content that blocks users from discovering your business. But for most businesses to make money, a website must guide a potential customer from this discovery stage toward making a purchase. That’s where gated content can be beneficial. By placing high-value content behind a form, it generates leads and allows the business to start a conversation with a potential customer. The 1,000 contacts from gated content will often be more valuable than the 5,000 page views the content would receive otherwise. Though gated content can help generate high quality leads, it’s not for everyone, and the Cleopatra example above illustrates this. Agitating users of your website is generally frowned upon. Neil Patel, co-founder of Crazy Egg and KISSmetrics, says this user backlash isn’t worth it, even if gated content generates more leads than any other method. Other marketers also argue making your content viewable to all simply results in better perceptions of your brand. The decision on whether a site should gate content needs to be made on a case-by-case basis; not every industry is created equal. What content should I gate? Gated content should be substantial. It should provide perspective, data or instruction the user wouldn’t receive otherwise. You’ll commonly find whitepapers, webinars and ebooks behind sign-up forms because instructional content delivers value to the user. It’s something they can take away from the site and apply to their lives, making it worthy of paying the price of handing over personal information like a name and email address. There’s not much sense – or precedent – in gating a blog post, but a training video or a cheat sheet might be worth the price of a user sharing his or her identity. 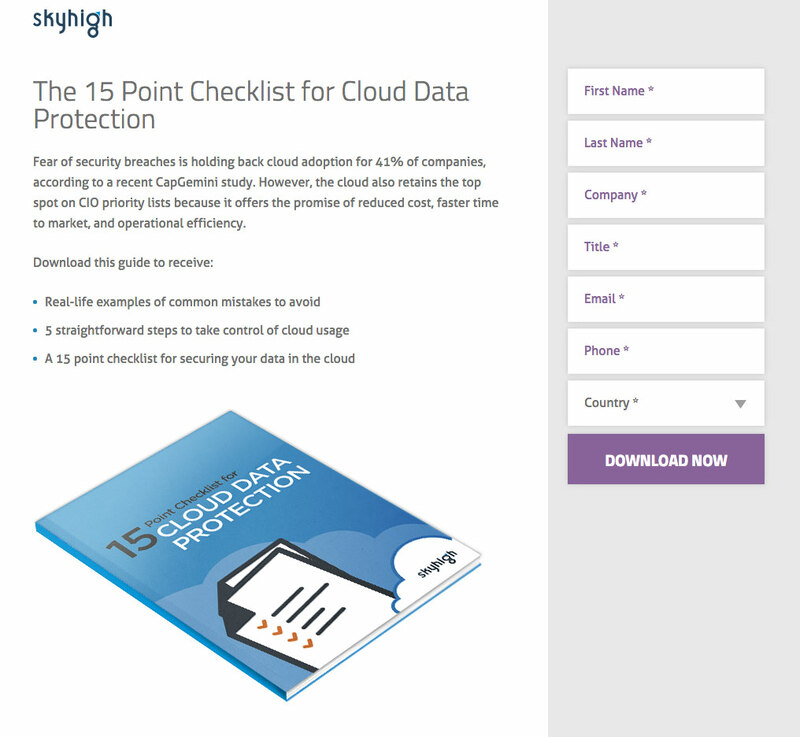 As an example, Skyhigh Networks, a cloud data protection service (and, full disclosure, a Gravitate client), offers a 15-point checklist to help companies protect their cloud data. This is informative content worthy of gating. Once you’ve successfully courted your user, you now have a contact — who you know to be interested in a very specific topic — and you can take the conversation further down the sales funnel with email marketing. You’ve heard of FOMO – fear of missing out – but what about FODO – fear of dropping off? Concern about users dropping off and never completing the sign-up form is enough for some websites to stay away from gated content completely. 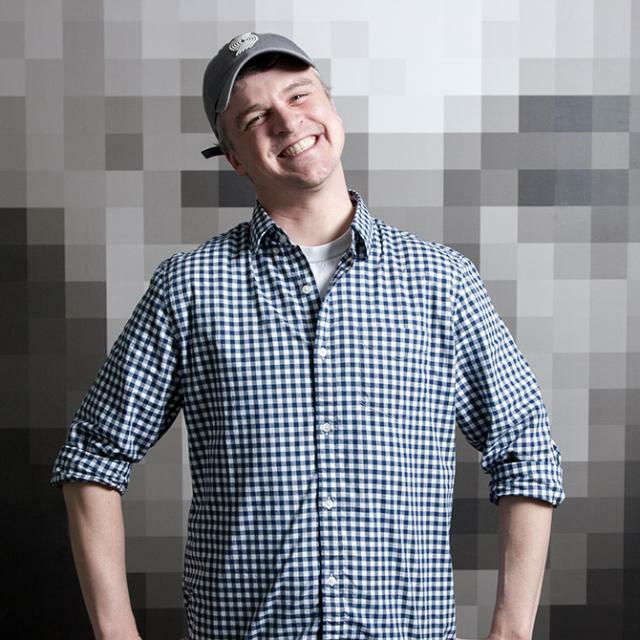 Is the value I’m delivering with this content worthy of the user sharing his or her identity? Communicate clearly. Inform the user the benefits of completing the form and explain exactly what he or she will learn or gain. Give an example. Share how this information can be applied to users’ lives or careers. Don’t intimidate. Too many fields in your form will drive your users to dropping off. Keep it short. If there’s valued content and a lightweight sign-up experience, potential customers will welcome your business to their email inbox. If the primary goal of your gated content is matching customers to the content they crave and moving them forward in the buying process, it’s important to track success or failure. Enter your website’s content strategy plan. Gravitate’s team looks for opportunities throughout the pre-launch and post-launch process to maximize whitepaper downloads. By tracking data and analytics, we learn whether the dropoff rate requires adjustments to an opt-in form or whether the content is perceived as valuable by the end user. There’s no way to know ahead of time exactly how valuable your end user will consider a checklist – or a post about Cleopatra and Julius Caesar – but with careful attention to user behavior, a content strategist can help you react and adjust to generate more leads for your brand. Please share your thoughts on gated content below.